FREE USA SHIPPING ON ALL PRODUCTS!!! ALL THE TIME! 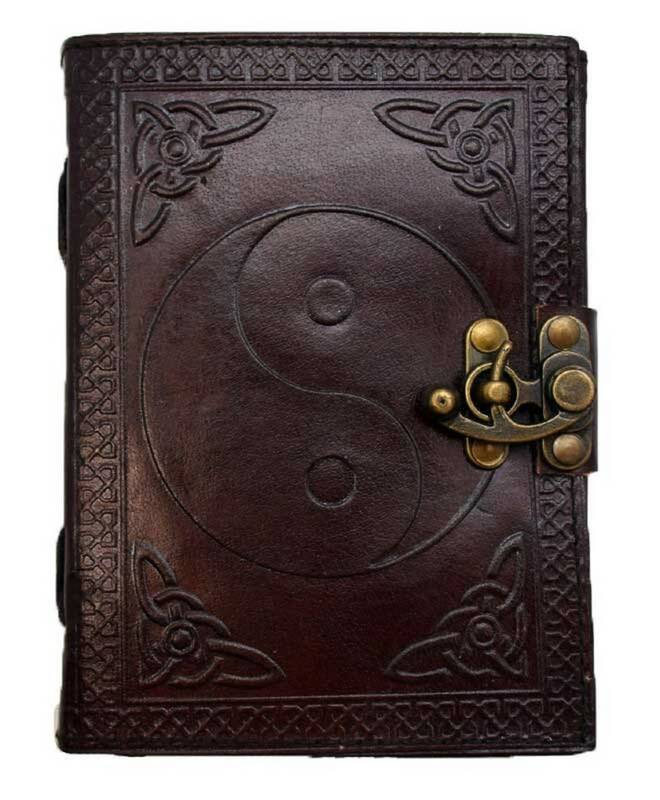 Hand tooled blank leather journal with an embossed Ying Yang, and Celtic Knotwork in corners. (in Chinese philosophy and religion) two principles, one negative, dark, and feminine (yin) , and one positive, bright, and masculine (yang) , whose interaction influences the destinies of creatures and things. View our full line of witchcraft supplies and metaphysical items in My Official Online Web Shop! Tune in to Spiritually Speaking Podcast Show at: www.spirituallyspeaking.online and learn how to increase your psychic abilities and raise your energetic vibrations!